The North Carolina Court of Appeals just dealt, in State v. Spruill, No. COA14-369, 2014 WL 6435807 (N.C. Ct. App. Nov. 18, 2014), a significant blow to internet sweepstakes operators in North Carolina, in what may be one of the final skirmishes in a legal battle that had already begun to resemble a game of legal whack-a-mole. Internet Sweepstakes began to proliferate in North Carolina shortly after the North Carolina General Assembly outlawed video poker machines in 2006, although the form of the sweepstakes have changed quite a bit over the years. By doling out sweepstakes prizes according to pre-determined odds, sweepstakes operators successfully evaded the 2006 prohibition against “game[s]…of chance.” Cognizant also of the long-standing prohibition against gambling, sweepstakes operators operated their sweepstakes under the guise of promoting the sale of internet or phone time. Purchase of a pre-paid phone or internet card would be accompanied by a free entry into the sweepstakes, the results of which would be displayed on the computer terminal after the customer played a game. Seeing that casino-type games were still being conducted, the General Assembly in 2008 enacted G.S. §14-306.3, which prohibited operation of game terminals that simulated slot machine or video gaming-type games (e.g., keno, bingo, craps, pot-of-gold, etc.) to conduct server-based electronic game promotions (including games with pre-determined odds). Sweepstakes operators again swiftly adapted their game software to avoid slots or casino-type games, creating novel game-types of various sorts, all of which functioned to reveal the outcome of the sweepstakes to the user. Realizing that its effort to eradicate internet sweepstakes by way of amending its video gaming statutes had thus far been largely ineffective, the General Assembly crafted legislation in 2010 that was specifically aimed at the elimination of the electronic sweepstakes operations which had thus far persistently evaded the State’s effort to land a knock-out blow. G.S. §14-306.4 prohibits the operation of an “electronic machine or device” to “promote” or “conduct” a “sweepstakes through the use of an entertaining display, including the entry process or the reveal of a prize.” The terms “electronic machine or device,” “sweepstakes,” and “entertaining display” are all extensively defined in an effort to prevent evasion. Violation of the prohibition in §14-306.4 is a Class 1 misdemeanor, with additional violations carrying felony charges. Unfortunately for the State, shortly after G.S. 14-306.4 was enacted, sweepstakes operators brought a legal challenge against the statute on First Amendment grounds, staying its enforcement before it ever went into effect. A second legal blow came when the North Carolina Court of Appeals ruled, in Hest Technologies, Inc. v. State ex rel. Perdue, 219 N.C.App. 308, 725 S.E.2d 10 (2012), that G.S. §14-306.4 was unconstitutionally overbroad. Finally, in 2012, the State prevailed when the North Carolina Supreme Court overturned the Court of Appeal’s prior decision and concluded that G.S. §14-306.4 was constitutional and could be enforced. Hest Technologies, Inc. v. State ex rel. Perdue, 366 N.C. 289, 749 S.E.2d 429 (2012) cert. denied sub nom. Hest Technologies, Inc. v. N. Carolina ex rel. McCrory, 134 S. Ct. 99, 187 L. Ed. 2d 34 (U.S. 2013). Despite what may have initially seemed to be the final nail in the coffin for electronic sweepstakes establishments, they surprisingly did not begin to vanish from the state. Instead, an insidious change was taking place in electronic sweepstakes software across the state. Seizing upon the language in the statute that prohibited the use of electronic machines or devices to conduct sweepstakes through the use of an entertaining display, including “the entry process or the reveal of a prize,” sweepstakes operators tweaked their gaming software to reveal the outcome of the sweepstakes (e.g., the prize) before the use of an “entertaining display.” Contending that their “pre-reveal” system was not in violation of G.S. 14-306.4, sweepstakes operators quickly reopened their establishments with the new software system in place. The consequence of this adaptation was a great deal of uncertainty. The prevailing attitude among local law enforcement and local district attorneys seemed to be a reluctance to pursue and prosecute violations of the statute. The result was a very sporadic patchwork of criminal enforcement, with most sweepstakes operators assuming the risk of operating against the possibility of criminal charges. [N]o sooner is a lottery defined, and the definition applied to a given state of facts, than ingenuity is at work to evolve some scheme of evasion which is within the mischief, but not quite within the letter, of the definition. But, in this way, it is not possible to escape the law’s condemnation, for it will strip the transaction of all its thin and false apparel and consider it in its very nakedness. It will look to the substance and not to the form of it, in order to disclose its real elements and the pernicious tendencies which the law is seeking to prevent. The court will inquire, not into the name, but into the game, however skillfully disguised, in order to ascertain if it is prohibited, or if it has the element of chance. It is the one playing at the game who is influenced by the hope enticingly held out, which is often false or disappointing, that he will, perhaps and by good luck, get something for nothing, or a great deal for a very little outlay, This is the lure that draws the credulous and unsuspecting into the deceptive scheme, and it is what the law denounces as wrong and demoralizing. Based on the foregoing, the Court determined that it was “clear that the jury was presented with substantial evidence of each essential element of the charge that defendants operated or placed into operation an electronic machine to conduct a sweepstakes through the use of an entertaining display, including the entry process or the reveal of a prize” and therefore affirmed the trial court’s denial of defendants’ motion to dismiss. No longer able to exploit the nuances of the statute and instead having to grapple with the Court of Appeals’ expansive interpretation thereof, it may be that the final blow against internet café sweepstakes operators has found its mark. Gabriel is an experienced attorney practicing in the areas of municipal law, employment law, environmental law, and civil litigation. 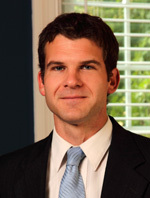 He is licensed to practice before all North Carolina State Courts and is a member of the North Carolina and Wilson County Bar Associations.